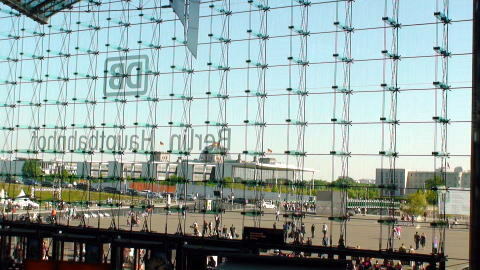 (R) Bahn Tower, Headquarter of Deutsche Bahn, located in Postdamer Platz in Berlin. 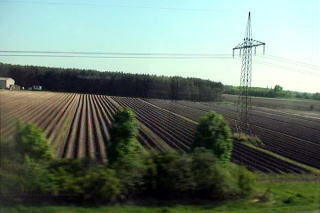 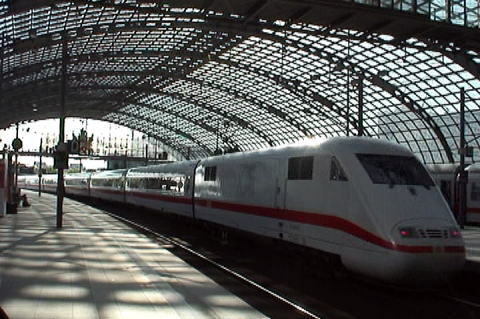 Deutsche Bahn-AG is the German national railway company, a private joint-stock company (AG). 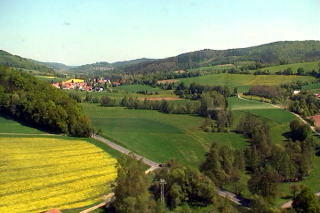 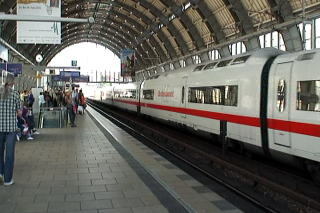 of Germany, the Deutsche Bundesbahn of West Germany and the Deutsche Reichsbahn of East Germany. 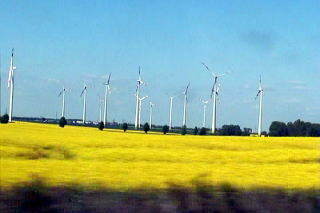 countries. 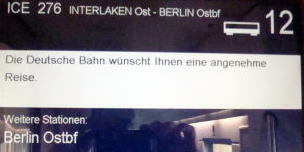 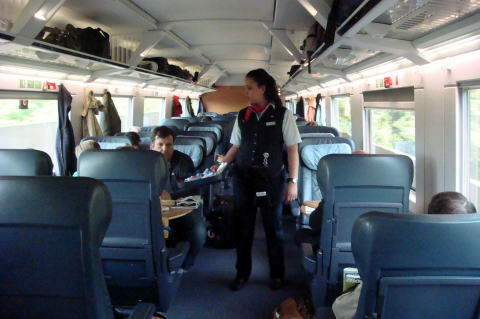 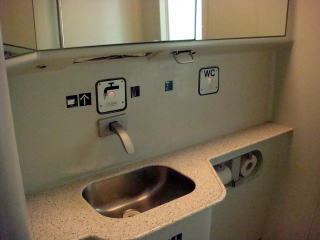 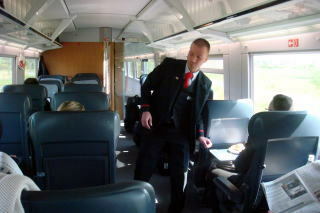 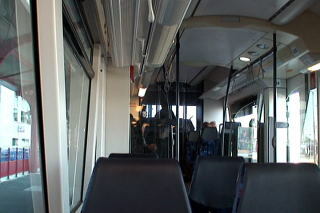 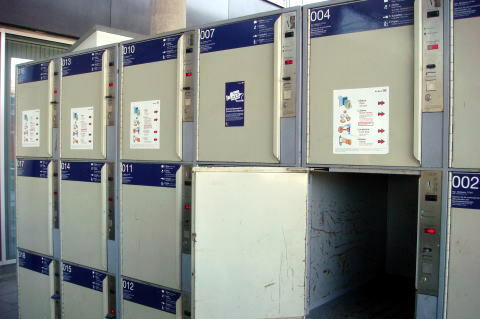 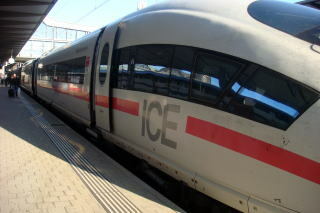 It is the flagship of Deutsche Bahn. 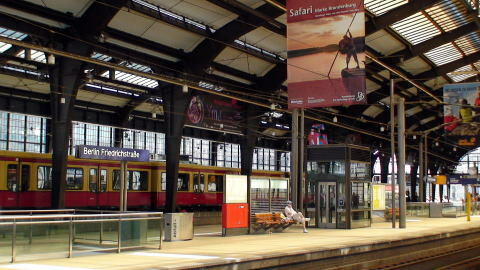 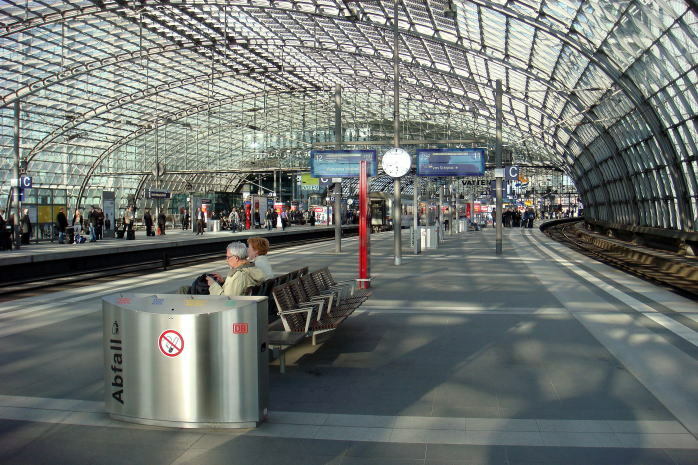 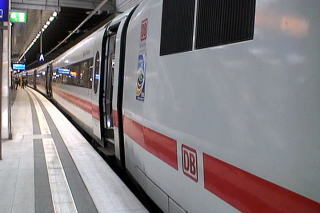 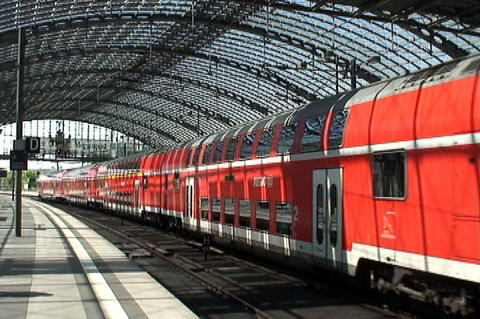 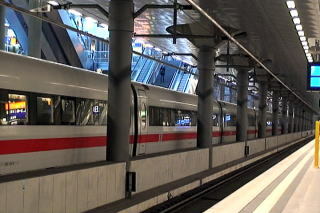 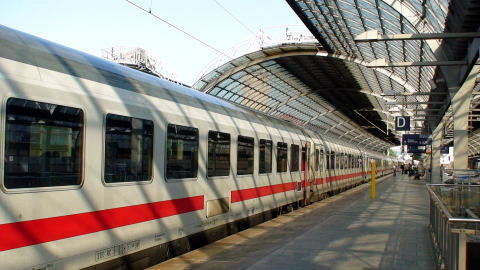 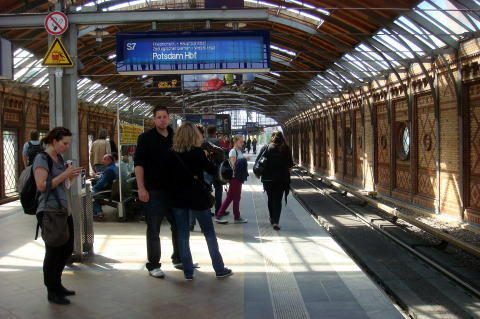 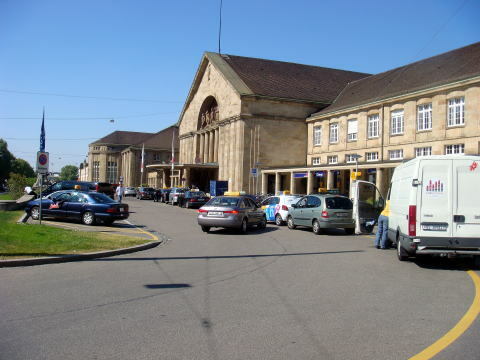 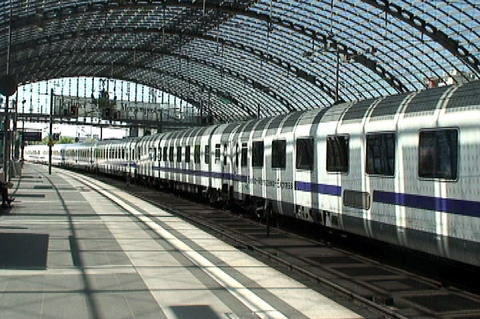 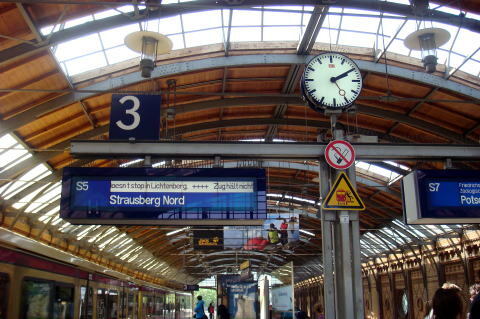 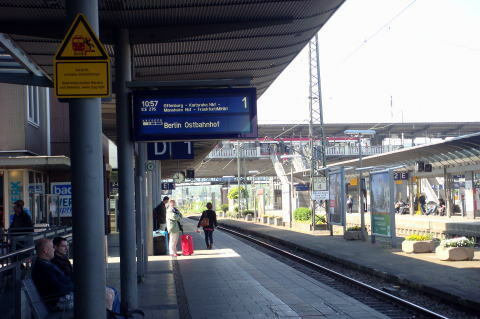 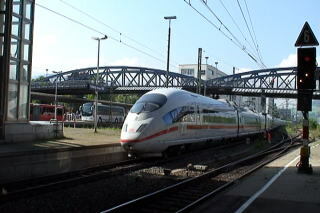 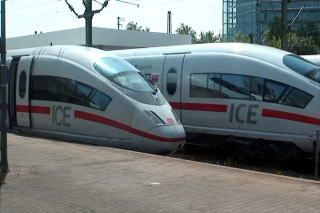 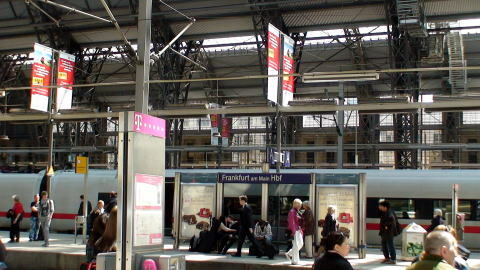 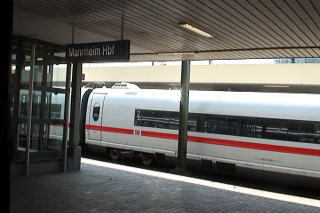 (L) ICE trains at the plateform of Mannheim station. 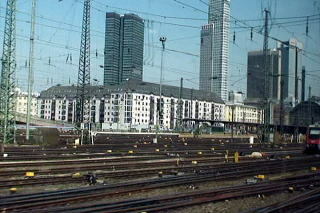 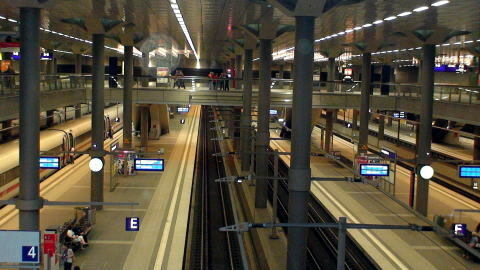 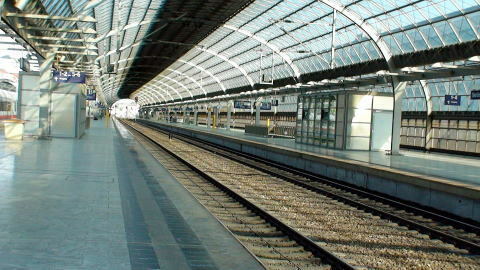 （R) Rail tracks of Frankfurt-am-Main railway station. 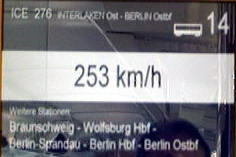 The electric information board showed the train is now running at the speed of 253km/h. 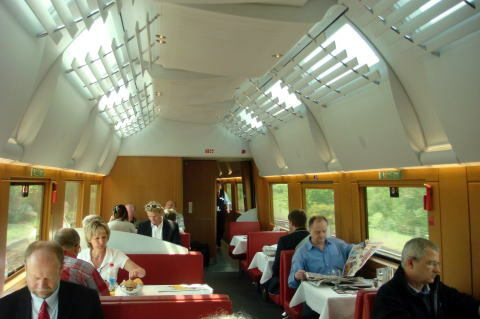 ICE dinning room and a lunch ordered. 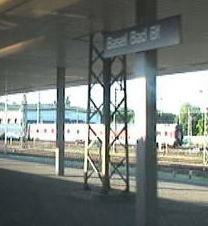 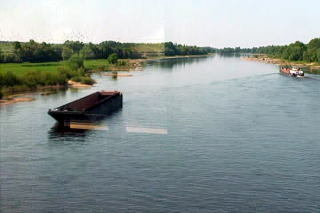 An electric bulletin board at the deck showed a speed of 250 km/h. 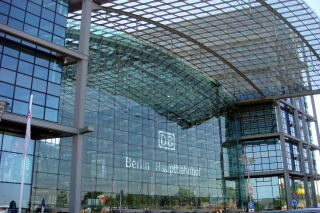 (L) Berlin Hauptbahnhof is located between 'water and sky'. 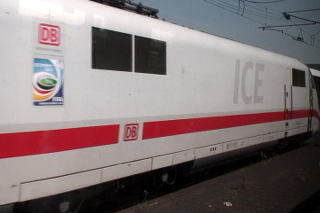 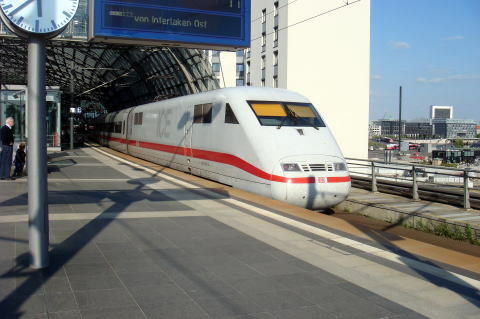 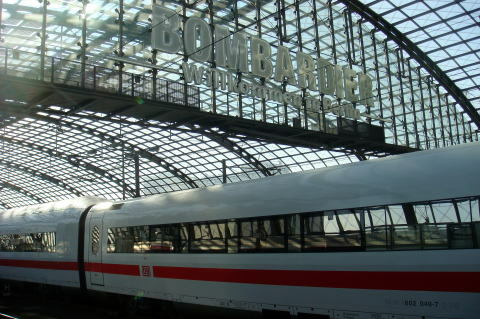 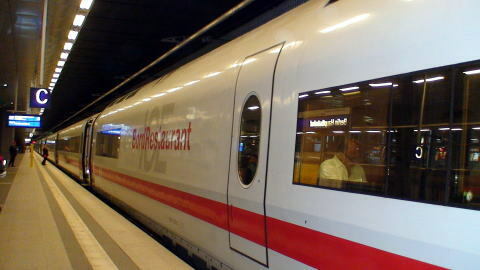 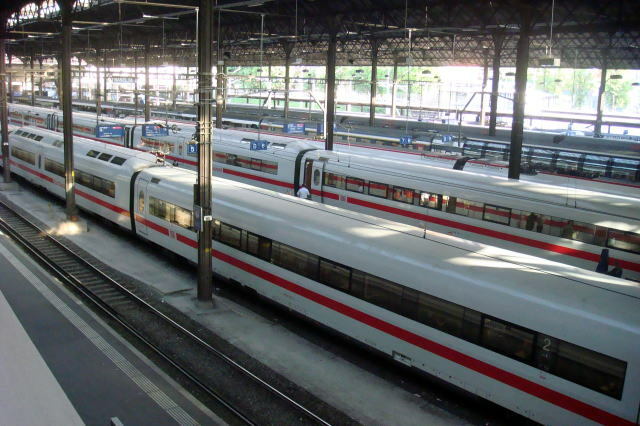 (R) ICE train from Interlaken, Switzerland arrived at the Berlin Hauptbahnhof. 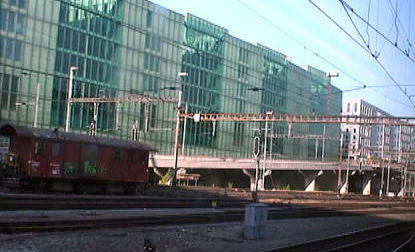 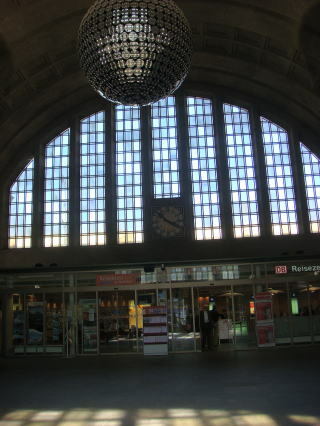 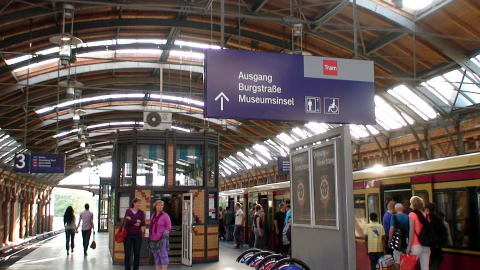 A steel and glass structure above the east-west running tracks, observed at Berlin Hauptbahnhof. 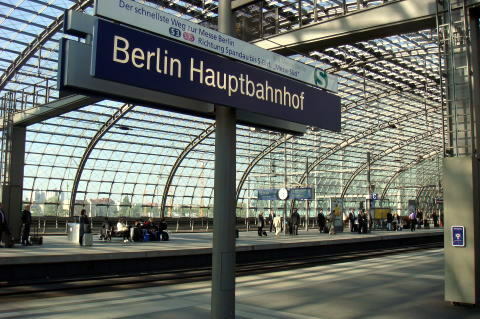 The Berlin Hauptbahnhof has railway tracks on two levels, running perpendicular with each other. 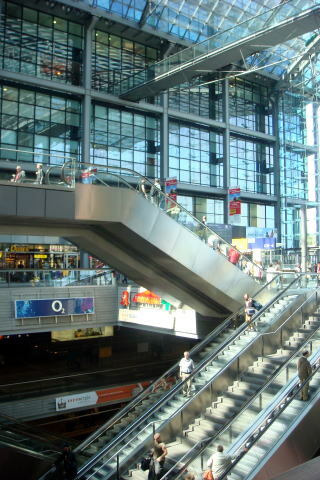 The level between them is used for entry and exit from the building, and for shopping. 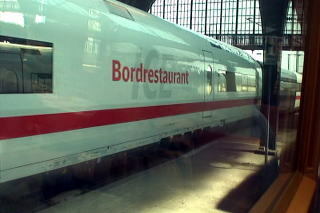 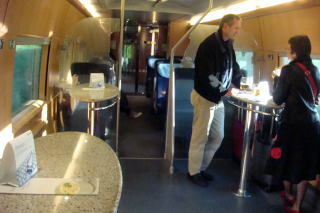 ICE train with a restaurant car is at the underground station of Berlin Hauptbahnhof. 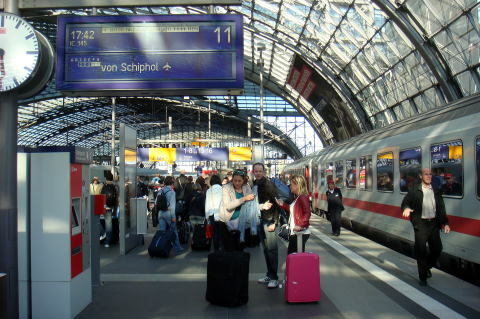 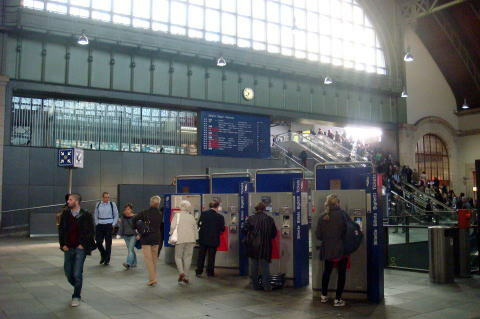 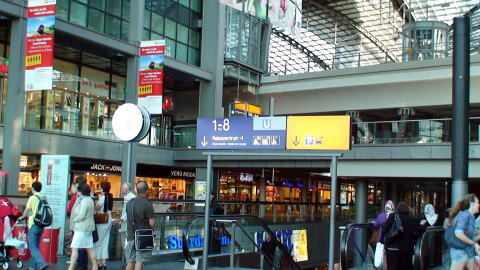 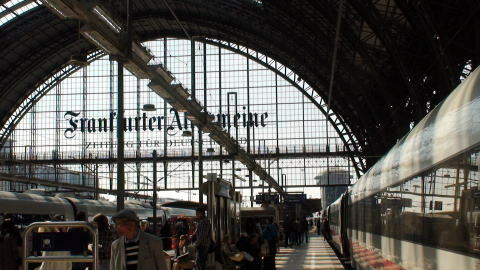 (L) A concourse of the Berlin Hauptbahnhof (R) The express train arrived from Schiphol airport, Amsterdam. 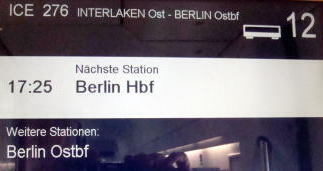 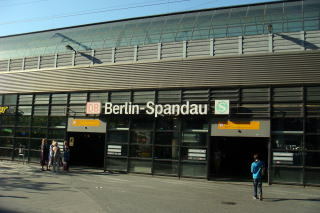 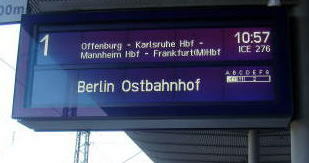 main-line trains, plus a further island platform for the Berlin U-Bahn. 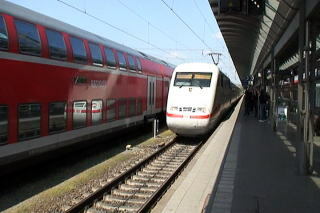 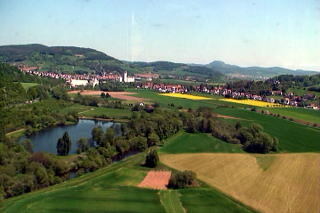 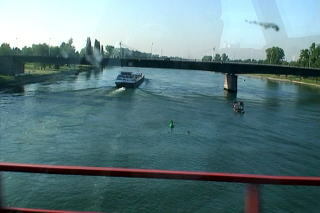 Intercity, Regional Bahn and S-Bahn. 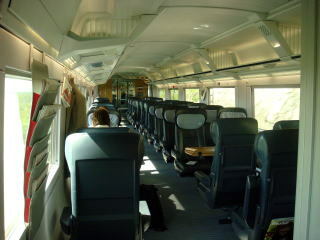 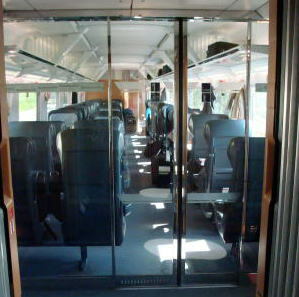 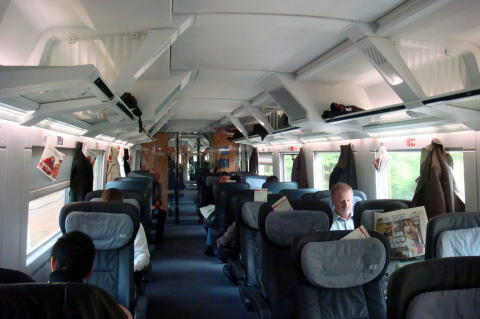 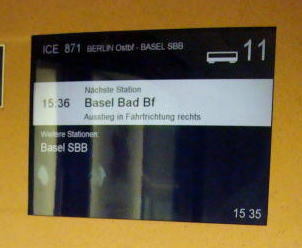 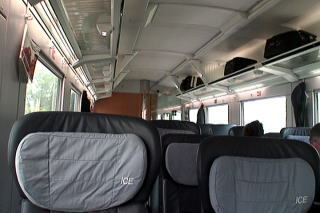 (L) Interior of the first-class train (R) An electric bulletin panel displayed in the ICE train directed to Basel, Switzerland. 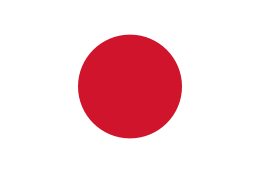 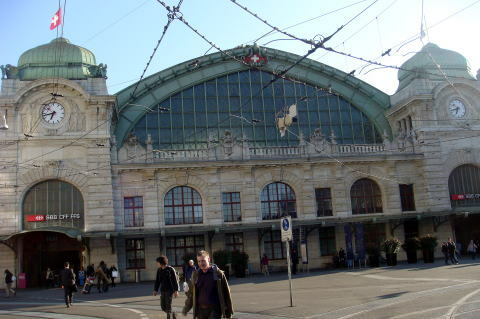 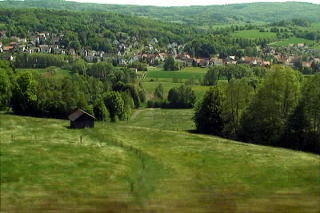 hall, however, are located in Switzerland, and the Swiss franc is used as the official currency there. 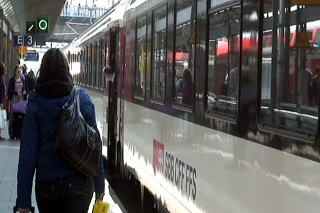 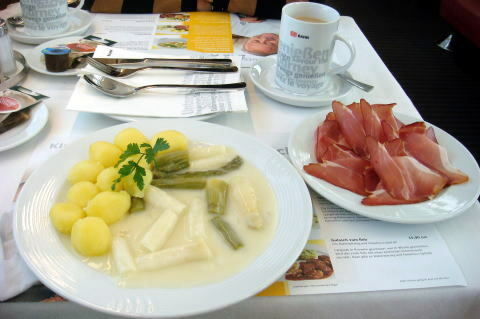 controls were abolished when Switzerland joined the Schengen Treaty. 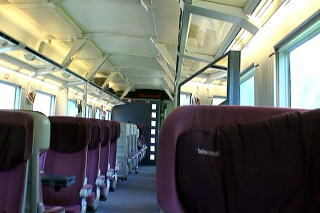 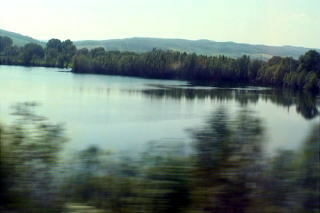 the Alps to Milan in Italy. 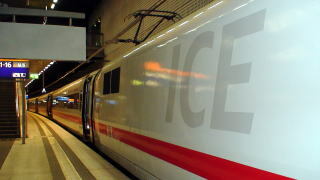 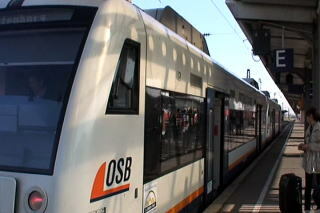 ICE trains at the Basel ( SBB ) station platform. 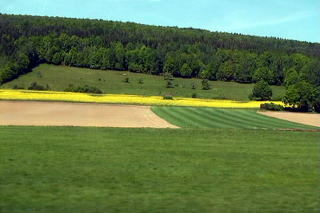 In August 2011, these video clips were uploaded to the YouTube.